All our honey and bee products are produced in Ventura County California- The home of the very best SAGE & WILDFLOWER fields in California! 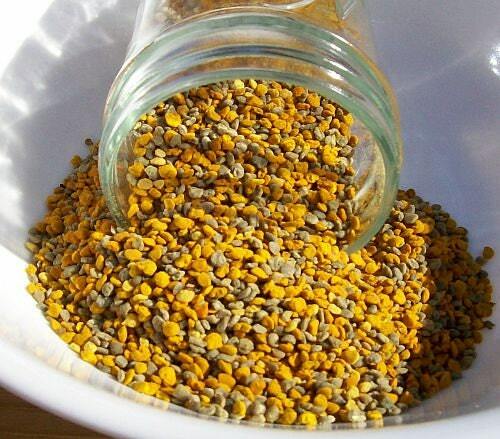 Bee pollen can be mixed with almost any type of food or drink. It can be sprinkled over cereal or oatmeal, mixed into a smoothie or dissolved in a glass of water or tea. Some proponents of the bee pollen supplement believe that consuming bee pollen alone and swallowing it with a simple glass of water gives the body the chance to begin digesting the outer coating of the pollen so that the inner nutrients can be released more effectively. Bee pollen should be stored in the refrigerator or freezer to prevent moisture from entering the container and producing mold or fungal growths. Pollen is an excellent source of nutrition for mold and fungal colonies, and pollen that is not kept in a cold environment may quickly spoil. Alternatively, the granules can be soaked overnight to make them more digestible.